You receive an email or phone call informing you that you are the grand prize winner in some “lottery”, or that your banking information was somehow compromised. Beware! You should not pay the email any mind, and definitely avoid clicking the link. However, many have indeed fallen for phishing scams, and lost hundreds, if not thousands, in the process. 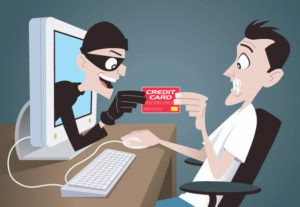 Phishing is becoming a common form of identity theft that hits thousands of people every year, and depending on the level of the scheme, it could take a while to get your life in order. Change your passwords regularly, and create a password that is difficult to figure out. A password with a combination of capital letters, numbers, and characters or punctuation marks is a good example. Avoid using simpler passwords like your name or address. Never give out confidential information like banking or social security numbers over the phone or via email/website. In fact, your bank or credit union will usually insist that they will not call or email asking for such info. Monitor your bank account on a regular basis, and look for fraudulent activity. When logging into a website or purchasing something online, look for a padlock symbol in the corner, which signifies the site is safe. Consider downloading malware prevention software, which helps keep viruses and spyware out of your computer. Both can harm your machine, and lead to hackers getting your information anytime you log into a site. Should you fall for a phishing scam, call your banking institution immediately and tell them what happened. That way, someone can cut off your card, and prevent further usage. Regardless of the amount of money stolen, you may want to call the police as well.